Bug Blitz is an internationally generated initiative from scientific, educational and creative minds to stimulate an active interest in biodiversity. It is an imaginative, instructive and rewarding program that brings new learning and enjoyment of our environment to people of all ages, especially the enquiring younger minds. 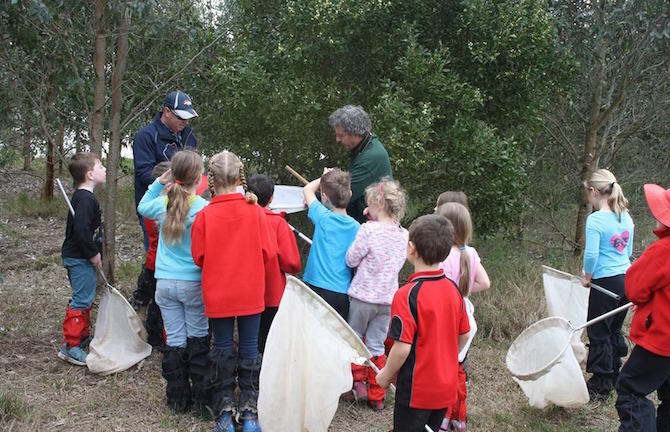 Bug Blitz encourages, promotes and supports a three stage learning process across field science, holistic studies theme in the school and students sharing their learning and discoveries via the arts. This process engages participants and provides opportunities for learning ‘in’ the environment, learning ‘about’ the environment and learning ‘for’ the environment.